Only 1186 in stock. Additional quantities will deliver at a later date. 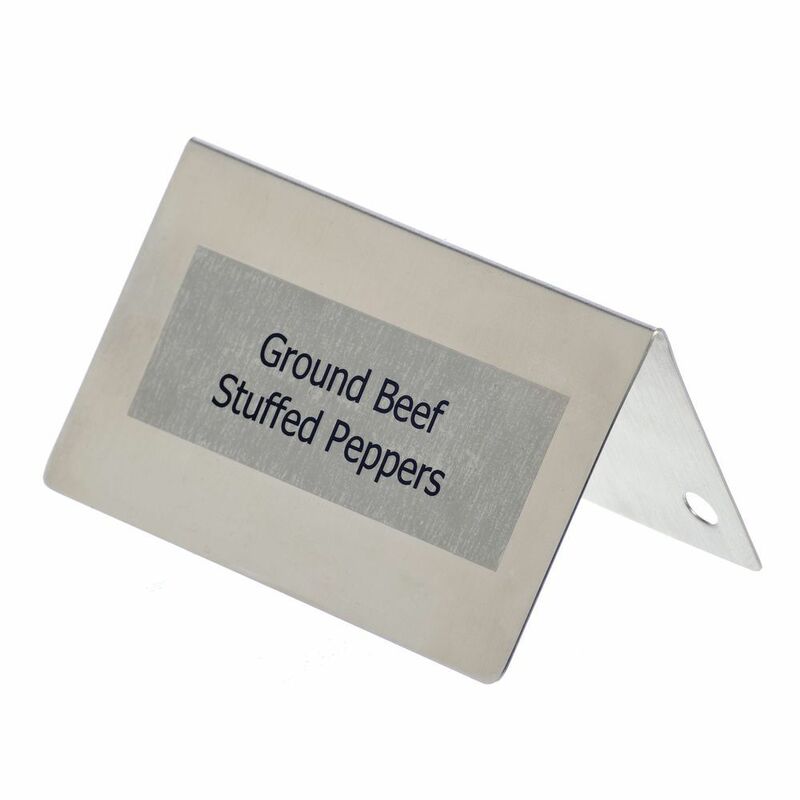 These table tent signs have a stainless steel build with a beautiful brushed finish. 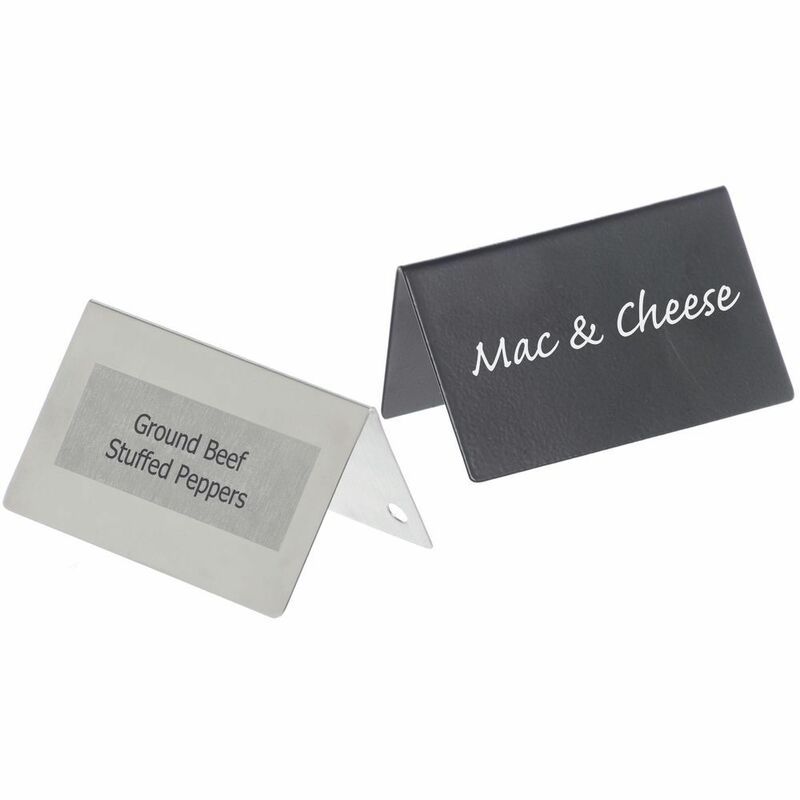 These displays can be used on buffet lines, cold cases and are even approved for hot case use. 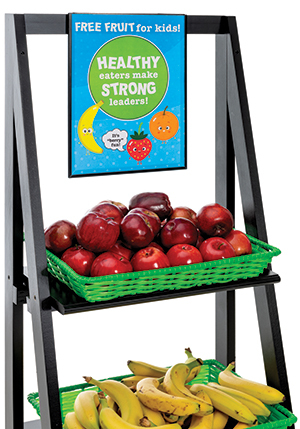 These table tent signs can be customized to convey product information using laser labels, water-proof chalk-like markers, or permanent ink markers. These displays measure 3 1/2 x 1 3/4 inches (L X H). These table tent signs are extremely sturdy and resist tipping.